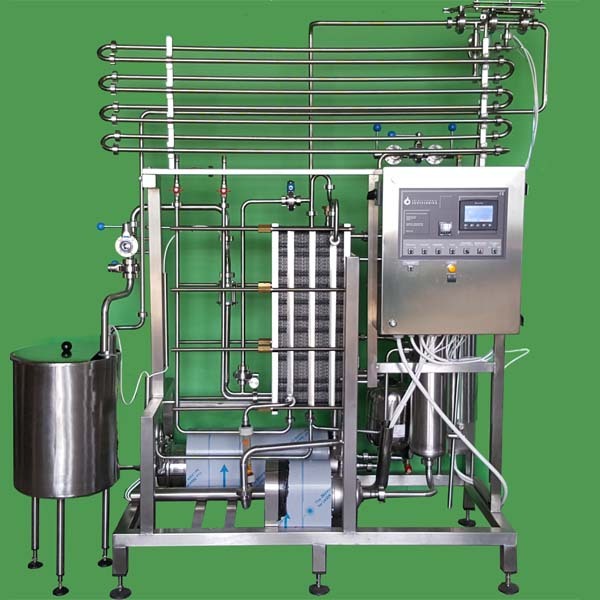 Tube section for 15-20 seconds flow pasteurization temperature holding time, at min. 86 ºC. 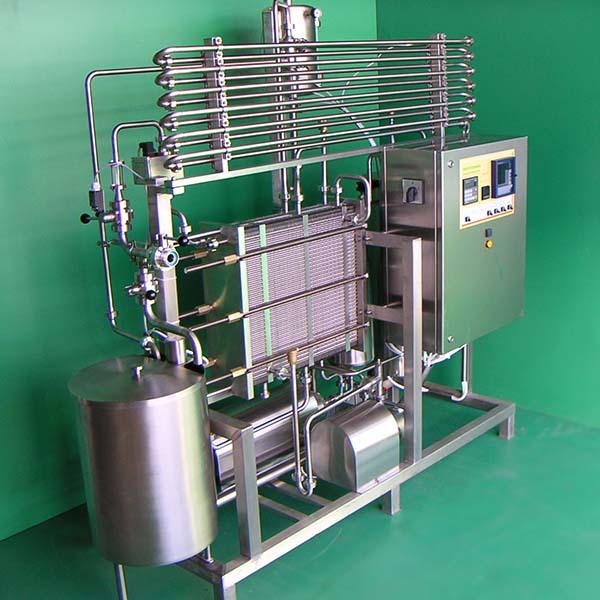 Plate heat exchanger module according to the capacity, involving 3 sections like heat recuperator, heater and cooler. Energy recovery is approx. 90%. Chart recorder, multi-channel, with memory card for data storage. Stored data can be downloaded to PC for further processing, printing and archiving. 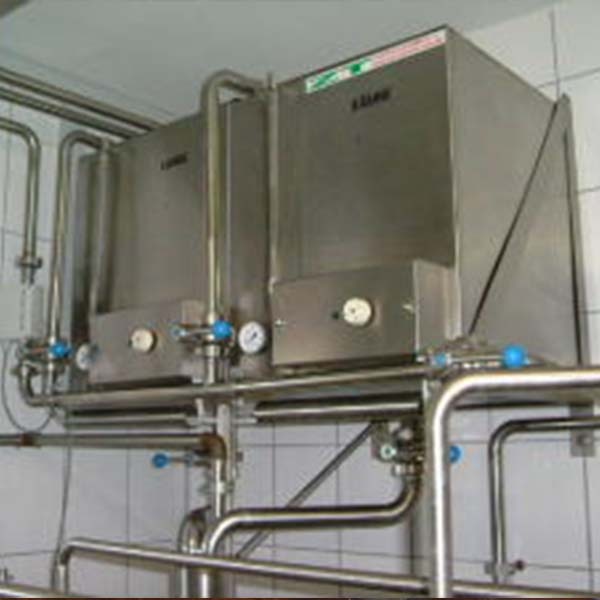 An integrated after cooling for the flash pasteurizer with ice water is optionally available. 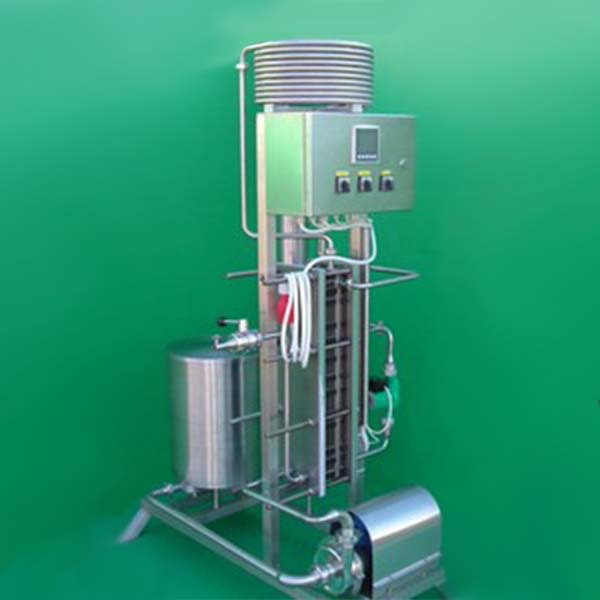 Weight, depending on specification, approx: 400 kg.